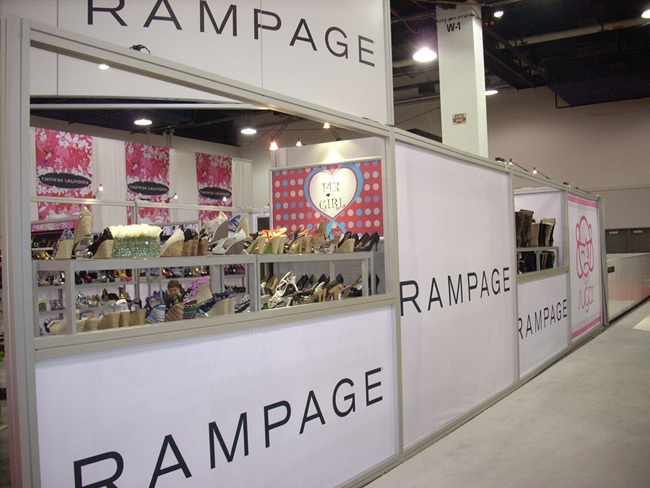 Rampage – E.S. 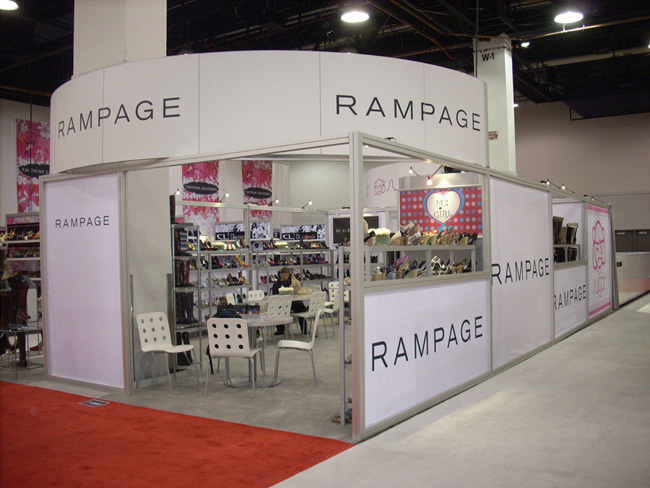 Originals, inc.
Rampage came to Geograph Industries with the opportunity to design and fabricate an exhibit to replace their heavy, custom wall panel exhibit that had been in use for the last five years. 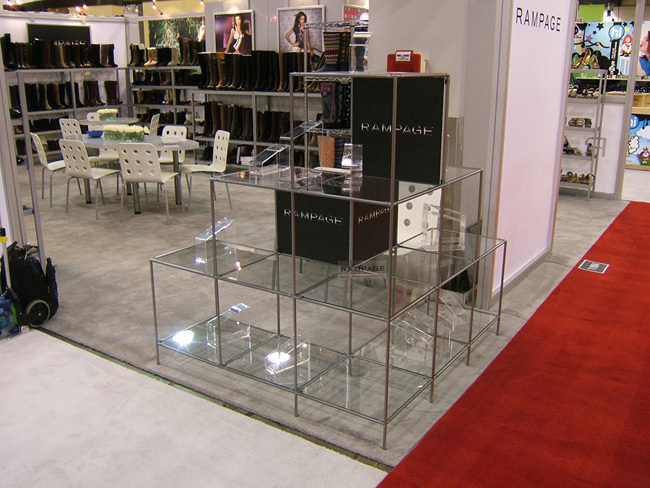 With the goal of reducing their storage and shipping costs while adding a fresh, new look, Geograph designed a custom rental unit with extensive shelving, yet it was lightweight and reconfigurable. 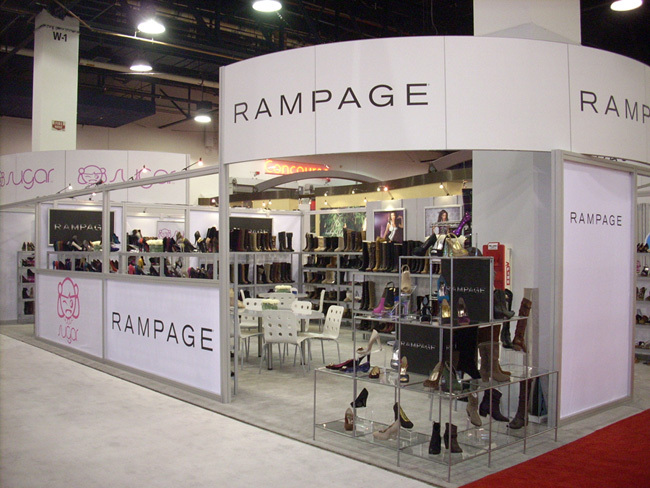 It was comprised aluminum extrusion and fabric graphics that met their specifications, and was able to be pre-assembled before being shipped to each show. 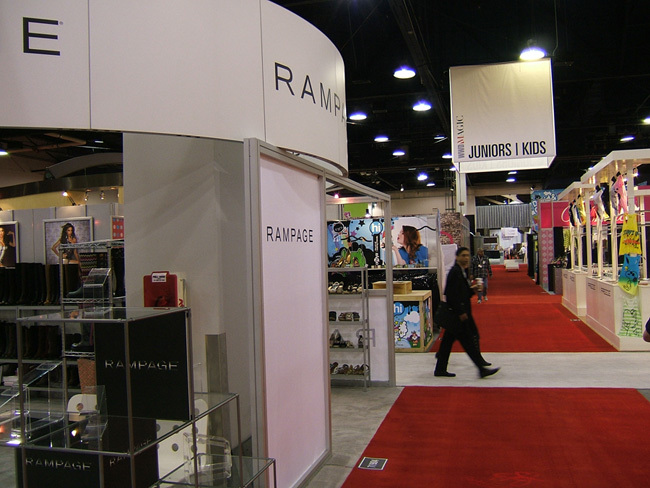 Over the last four years, the exhibit has been used for 20’ x 20’, 20’ x 30’, 30’ x 30’, 20’ x 40’, 30’ x 40’, 20’ x 50’, and 30’ x 50’ exhibit configurations. 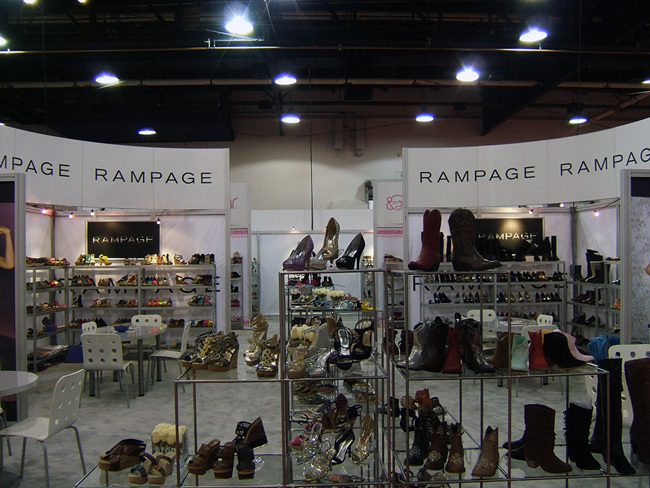 Geograph has provided complete turnkey services including: full exhibit rental, installation and dismantle services, a Geograph on-site supervisor, shipping, warehousing and all show coordinating services. 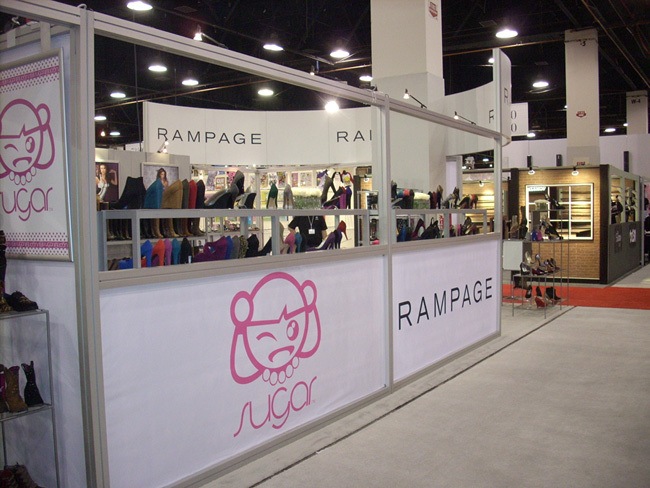 For the best in custom-fabricated tradeshow exhibits, commercial and wayfinding signage, museum exhibits, and brand awareness, turn to Geograph. 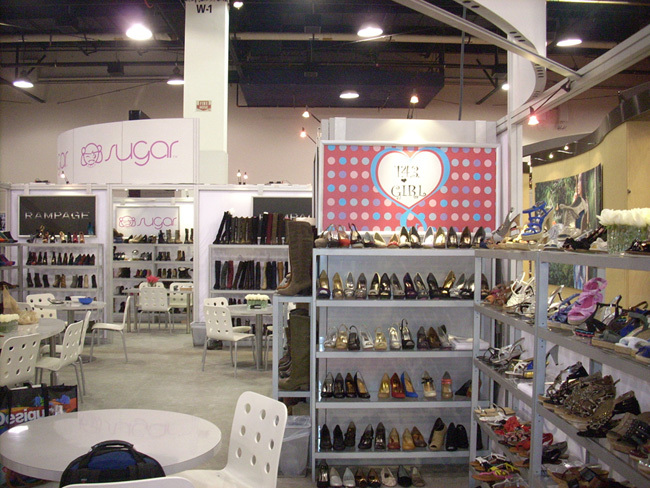 In New York, NY, Las Vegas, NV, Chicago, IL, San Diego, CA, Los Angeles, CA, San Francisco, CA, Washington, DC, Syracuse, NY, Indianapolis, IN, Springfield, IL, Denver, CO, St. Louis, MO, Orlando FL, and Cincinnati, OH, we are the exhibit and sign company of choice.